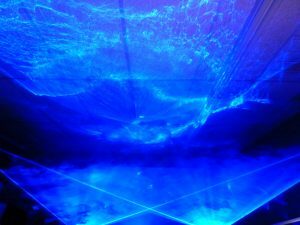 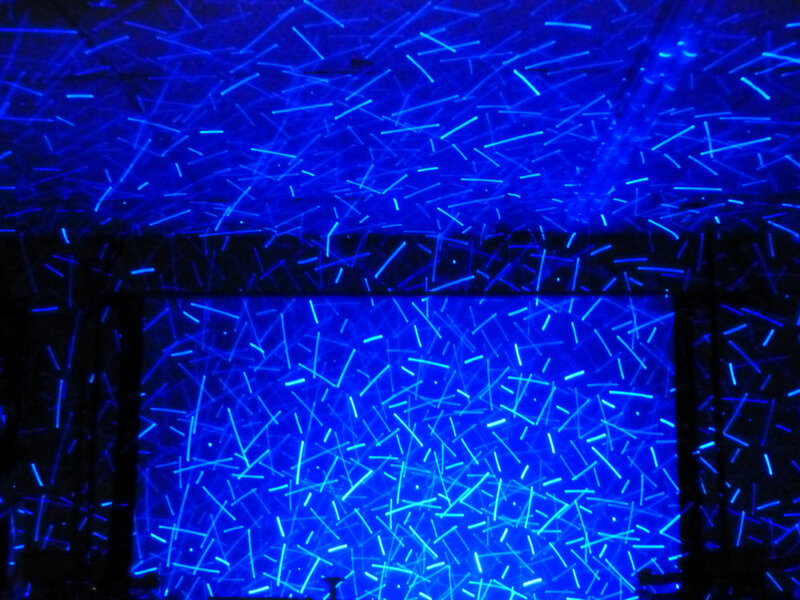 Underwater Type Laser Show Effects | Laser Spectacles, Inc.
To make an audience feel as if they are under water, lasers can be quite useful. 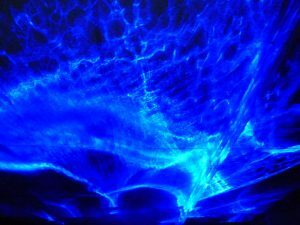 I would begin with the venerable “blue wave” effect, projected over the audience. 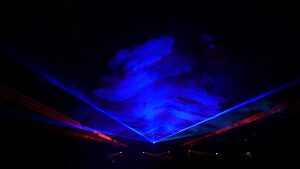 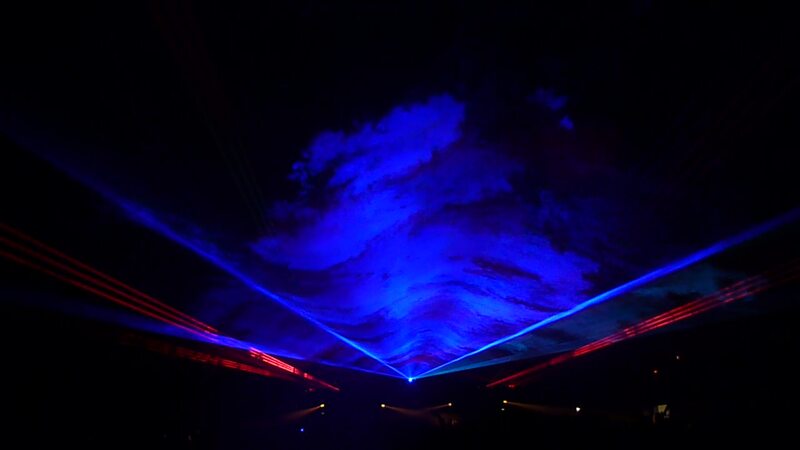 As they look up at the lasers, a wave slicing through the haze is rolling slowly overhead as if you are lying underneath the rolling sea and looking up. Next I would add laser lumia effects on the ceilings and the walls. In blue, the patterns are refracted by pure crystal glass and simulate the sunlight that cuts through the waves and makes fantastic patterns on anything under the water. 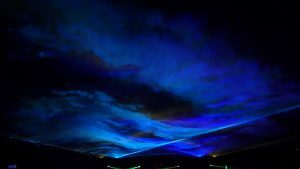 Then I would do the lumia and the beam waves together. 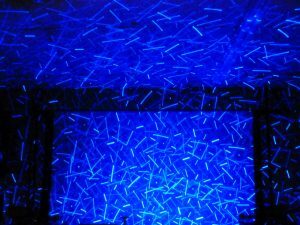 Finally, I would bring in the laser “fish” – laser lines that move together and then apart and remind me of the movement of fish.